Tra Lan Vien is one of the most popular carrier brands that travels from Ho Chi Minh City or also known as Saigon, which is the largest city in Vietnam to Nha Trang also known as the Riviera of the Southeast Asia Sea with white sandy beaches and vice versa. The operator is a prominent name in recent years among tourists who travel with the bus. It is made even easier now when you can book a bus ticket with Tra Lan Vien through Easybook’s website or mobile app. Safety is high on Tra Lan Vien’s priorities; hence the carrier always provides the best services to their passengers. With highly-skilled drivers behind the wheels, travelers are able to enjoy the facilities installed on most of the buses such as the TVs, air-conditioning systems and toilet, just to name a few. This allows travelers to have an enjoyable ride to their destinations no matter near or far. Besides offering transportation for their passengers, Tra Lan Vien also offers transportation services for goods between Ho Chi Minh City and Nha Trang. 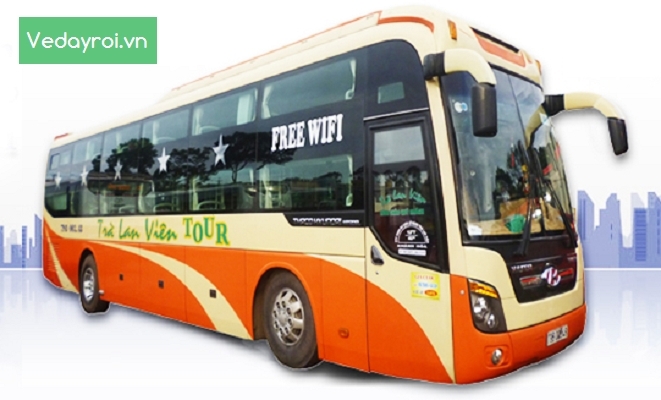 Tra Lan Vien buses have also extended its operation into the tour travel business. Customers who buy either Nha Trang tour or bus tickets offered by Tra Lan Vien are not only domestic but also overseas as well. Tra Lan Vien pick-up and drop-off points are located at Pham Ngu Lao Street in Ho Chi Minh City. The departure times for the route from Saigon to Nha Trang are at 4PM, 5PM, 5:30PM. For trips from Nha Trang to Sai Gon, they are timed at 7PM, 8:30PM, 9PM and 9:30PM. Currently, Tra Lan Vien is only focusing on the route between Saigon and Nha Trang, in order to ensure the steady development and the prestigious brand of Tra Lan Vien buses in the Vietnam market. Developing more new routes is certainly a plan down the line to provide more choices for the operator’s domestic and overseas passengers in order to satisfy their demands. In the meantime, go ahead and enjoy your next Vietnam travel with Tra Lan Vien when you purchase your bus ticket online through Easybook at the palm of your hands.